VANCOUVER, WA/BOCA RATON, FL — xChemistry DNA, the largest supplier of genetic-based cannabis testing, providing guidance for products managing chronic pain, sleep disorders and anxiety, and NationalMedicalMarijuanaCard.com, a leading online authority connecting patients to medical marijuana doctors, have announced a strategic partnership to promote greater visibility, understanding and accessibility of the medical cannabis marketplace. Building on xChemistry’s revolutionary CannaGx DNA product and NationalMedicalMarijuanaCard.com’s expansion of the North American directory of clinics, doctors and dispensaries, the partnership will further the understanding and control of pain management issues, and provide avenues in which doctors can recommend the ideal cannabis products to their patients. The aim of this precision medicine focus is to account for individual variability in environment, lifestyle and genetic profile when making medical decisions. 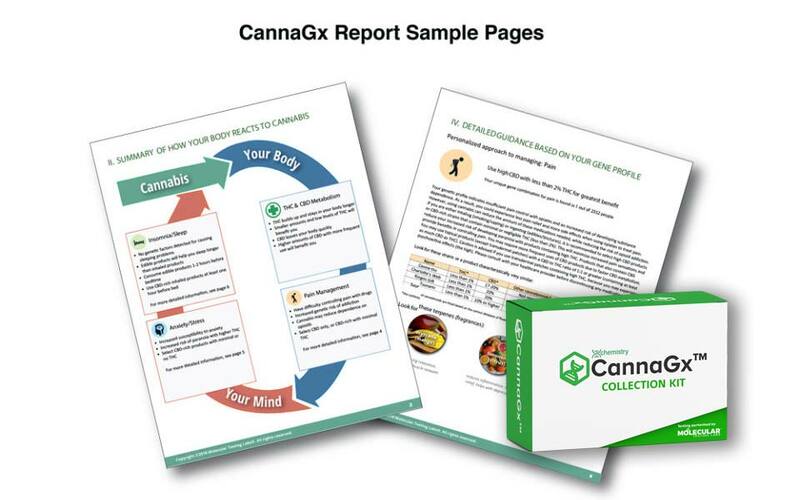 Toward this end, each patient and their provider can receive a better understanding of how their genes relate to each other, and which cannabis recommendations can successfully curb the symptoms of chronic pain, sleep disorders and stress/anxiety. xChemistry has spent years working to combine cutting-edge research with the latest technology to reveal details about an individual’s unique health and wellness requirements. xChemistry DNA tests will be available to all NationalMedicalMarijuanaCard.com patients and partners to identify their own unique genetic profile, with follow-up assistance and guidance from local doctors and medical clinics.